Laksa has a permanent spot on any list of Singapore’s must-eat foods. Locals love it so much that most Singaporean cookbooks include a variation of laksa. There is no one best laksa recipe as different cities have given the noodles their own twist. In Singapore alone, you’ll be able to find curry laksa and assam laksa. Here, we have rounded up 10 of our favourite home-cooked laksa recipes! We’re starting off with a recipe that features Laksa, true Singaporean style. The folks over at Honeycombers have a list of favourite laksa joints around town, but they still prefer to hawker it up in their own kitchens where bean sprouts are optional. The key to a good bowl of laksa is to not scrimp on the sambal! Check out the full recipe and ingredient list here. Rasa Malaysia touts its curry laksa recipe as “friendly” so that it appeals more to the Western palette. Little changes like adding evaporated milk keeps the laksa creamy without the overpowering taste of coconut milk. Traveling to Katong to get your laksa fix suddenly seems tedious when you’ve got the recipe to recreate the famous laksa right in your own kitchen. Don’t like your laksa too spicy? What To Cook Today also recommends replacing the regular spicy dried chilli with dried guajillo chile that gives the soup a red vibrant colour without the heat. Nagi from RecipeTinEats loves laksa so much that she would drive for two hours—round trip—just for a bowl. 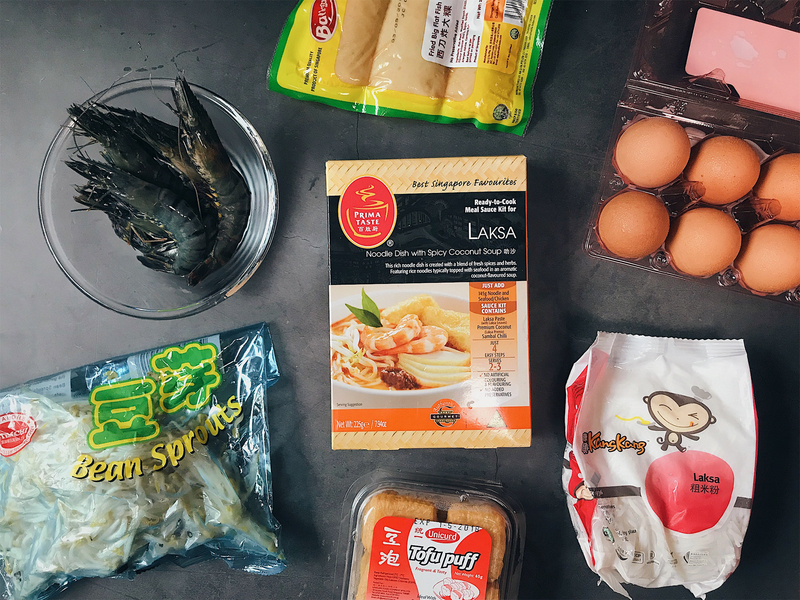 Instead of having to travel so far, she put together a recipe that starts with store-bought laksa paste and another recipe for the chilli paste to add more punch into your broth. 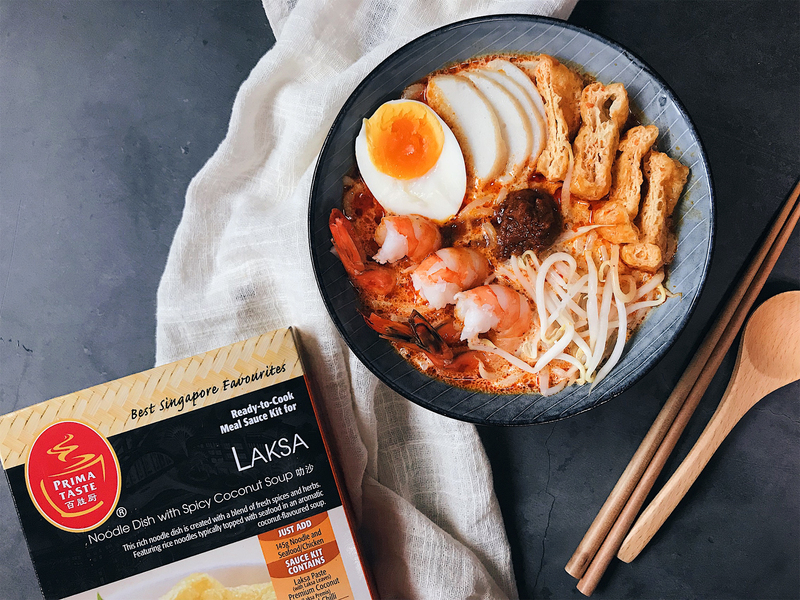 Most store-bought pastes usually say ‘just add water’, but your laksa can become a hundred times more delicious by adding some fresh ingredients. Terence Carter from Grantourismotravels tested out many variations before arriving at his final laksa recipe that tastes just like the original curry laksa he fell in love with so many years ago (the shop owner refused to share the recipe). His secret? Using chicken thighs bone-in and the prawn shells and heads to make the stock more flavourful. The laksa at Concorde Hotel Singapore is one of its most popular dishes amongst diners, so we were surprised to find the full recipe from the hotel’s Executive Chef Sunny Goh online. To give his laksa more kick, Goh makes an additional chilli oil to fry the rempah in before serving. British Chinese chef Ching-He Huang has perfected her own recipe for laksa too! You’ll notice that most of the ingredients she uses can be found in supermarkets in the UK and other countries, which makes it a good recipe to follow if you’re out of Asian spices and ingredients. Passed down from her mother to her, Juliana’s laksa recipe comes from many years of agaration cooking (cooking with intuition) from scratch. Juliana also gives tips on how to get the most flavour out of the ingredients, resulting in a steaming bowl of laksa that reminds her of home. 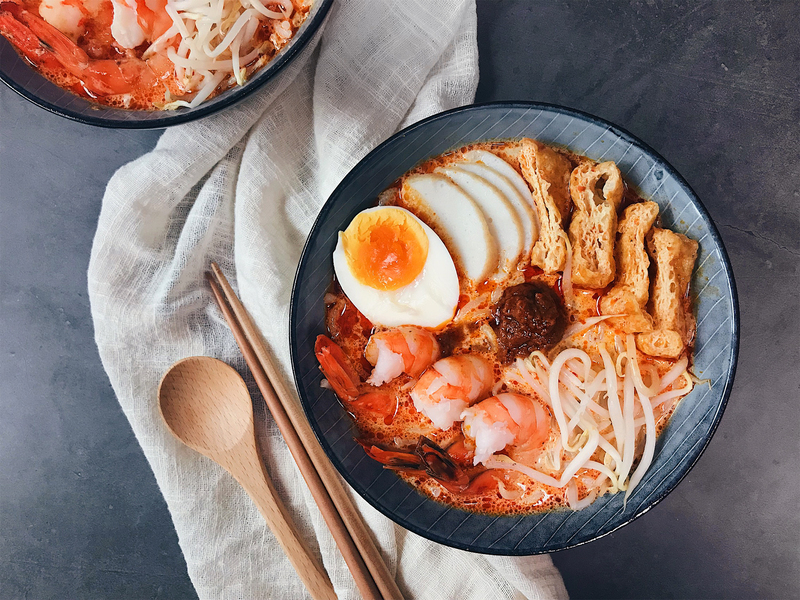 Laksa has a special place in many local’s hearts, so it’s not surprising that the dish is highly requested for on recipe websites. Because there are so many ingredients involved in the cooking process, Grace Teo from Nyonya Cooking says that all the herbs and spices must be infused together to get that classic Nyonya laksa taste. If you prefer the laksa over at 5-star hotels, try this recipe from Executive Chef Chua Yew Hock. Chua has worked with various hotels including Grand Hyatt and Holiday Inn, where his laksa has been enjoyed by many guests for its authentic Singapore taste. Note: this list only includes the main ingredients. Check each recipe to find out the exact ingredients you need, all of which you’ll be able to find at your nearest Giant supermarket.